Ring your friendly courteous Mission Link Bus Driver on 0474 580 000 and request a ride from where you are to where you want to be…. on demand. This service is available from Cardwell to Innisfail 24 hours a day 7 days a week. 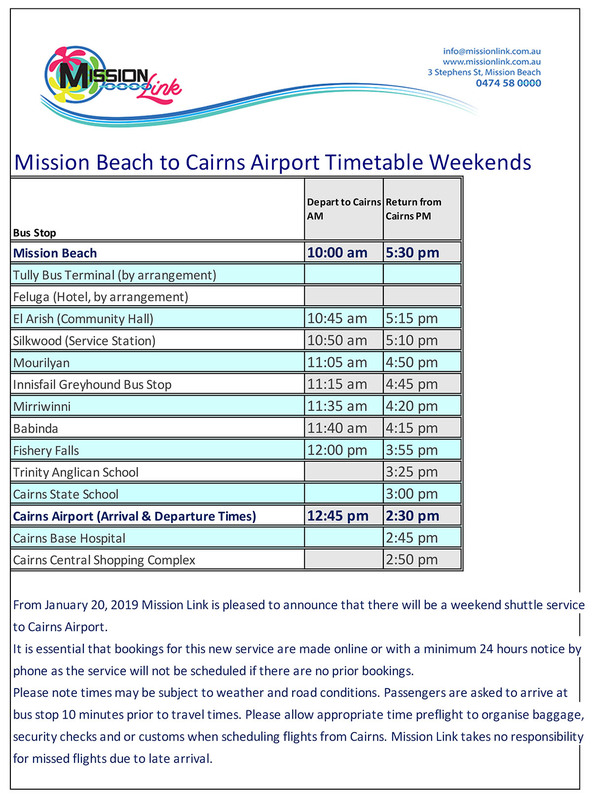 Weekend airport and Mission Beach to Cairns bus service: From January 20, 2019 Mission Link is pleased to announce that there will be a weekend shuttle service to Cairns Airport. It is essential that bookings for this new service are made online or with a minimum 24 hours notice by phone as the service will not be scheduled if there are no prior bookings. Please note times may be subject to weather and road conditions. 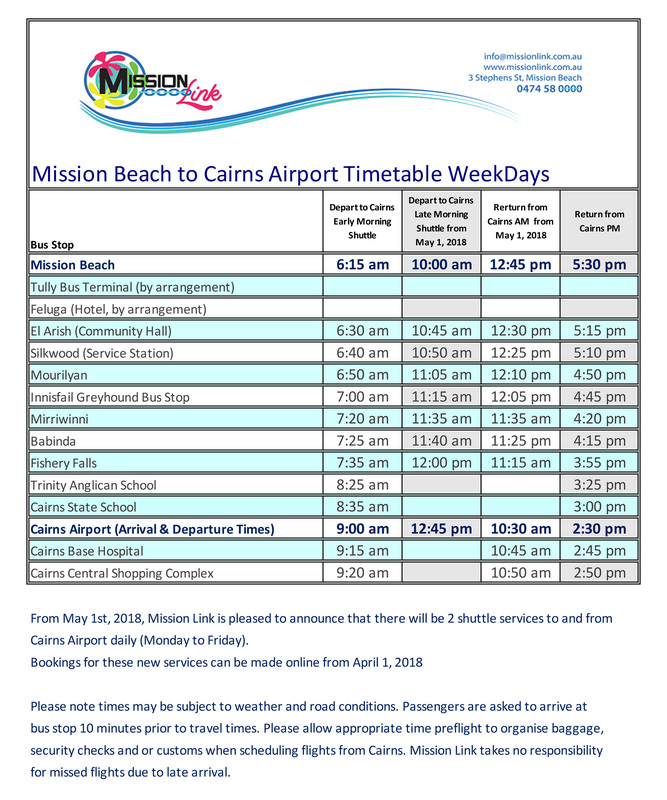 Weekday airport and Mission Beach to Cairns bus service: Mission Link Bus Services are operating 2 weekday daily services to and from Cairns. Book online throughout this website or for those without internet access you can always book by phone on 0474 580 000 or the office number 0407 337 661. Mission Beach to Cairns airport shuttle service. Mission Beach to Cairns weekend airport shuttle service.